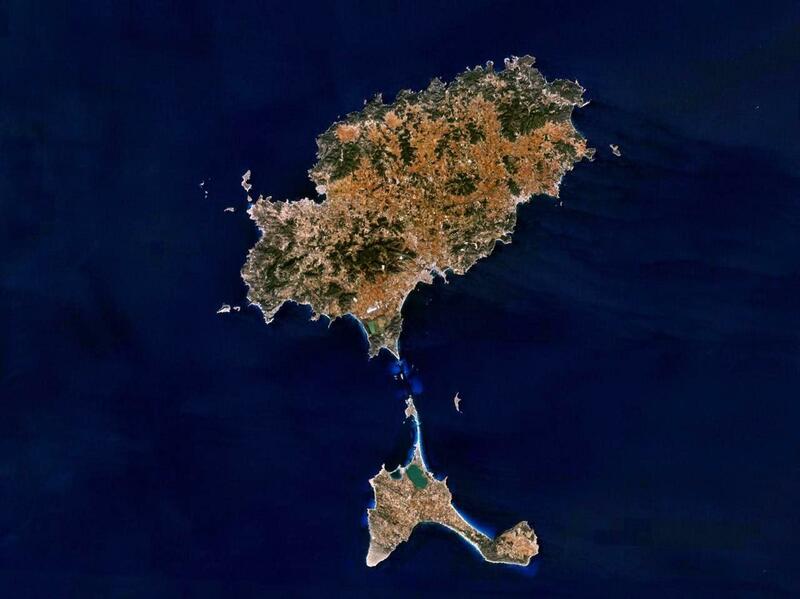 Ibiza and Formentera, located in the Mediterranean Sea, form the archipelago of the Pitiusa Islands. The word derives from the Greek pitys, meaning pine, and translates into abundant pine reserve, as it was and remains to be a very common tree on both islands. Together with Mallorca, Menorca and Cabrera, they make up the Balearic archipelago. 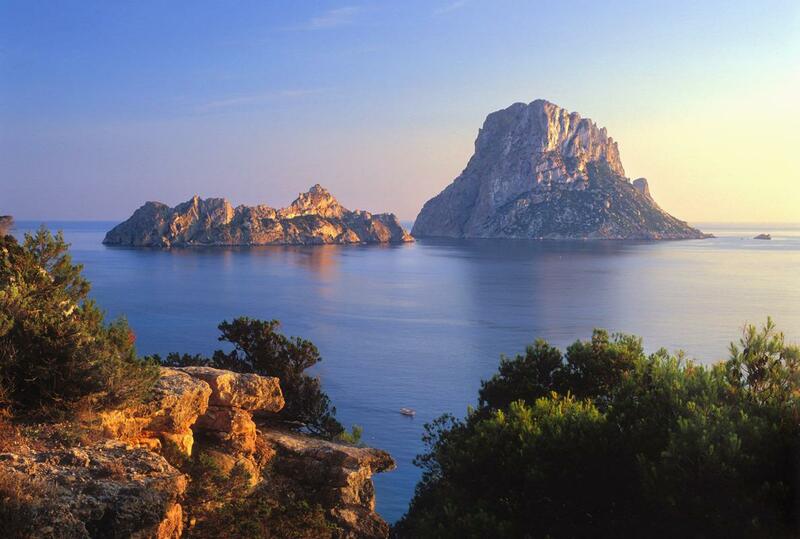 An Ibiza boat hire is the perfect plan to discover these islands. 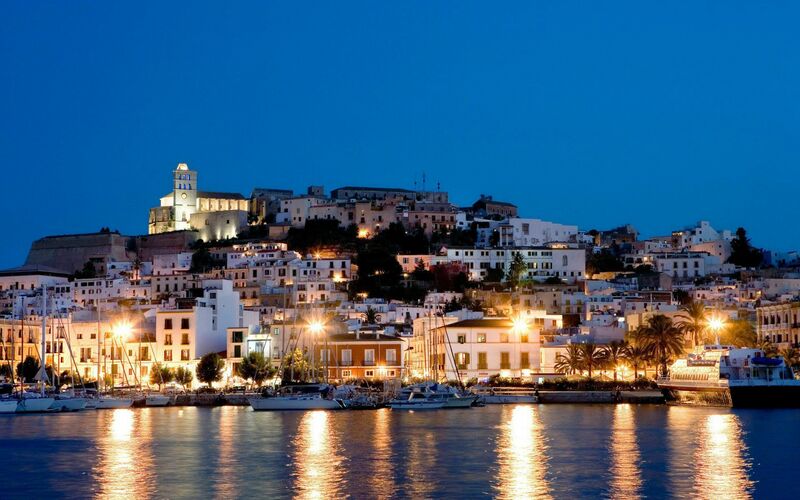 Ibiza enjoys an extensive 210km coastline in addition to a unique geographical configuration. It is the greenest and most wooded of the Balearic Islands and its valleys and mountains have given origin to an infinity of wells and fountains, making Ibiza, although the driest in the archipelago, the island with greater number of springs. Furthermore, it is surrounded by a multitude of islets like Es Vedrá, part of the Natural Park of Es Vedrá, access to which is exclusively by sea and on private boats. The idyllic scenery, the marvelous turquoise waters, the Mediterranean gastronomy and the amazing coves and beaches full of the legends that past civilisations have left on their passage through this island, make it a perfect destination for an Ibiza boat hire to visit it from the sea. In Formentera you can enjoy Espalmador, a small island, almost uninhabited, which can only be accessed on a boat. 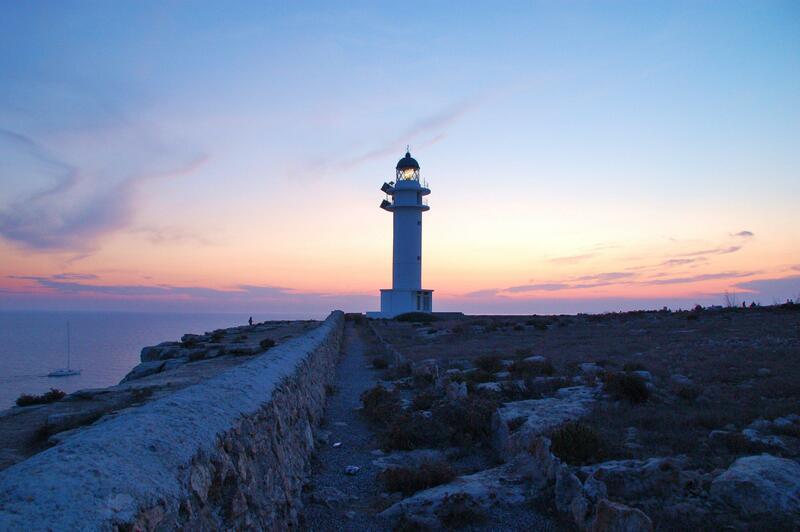 Moreover, you can sail around the Mola lighthouse, located more than 120 meters above the sea, and which has been the setting for some Spanish movies. 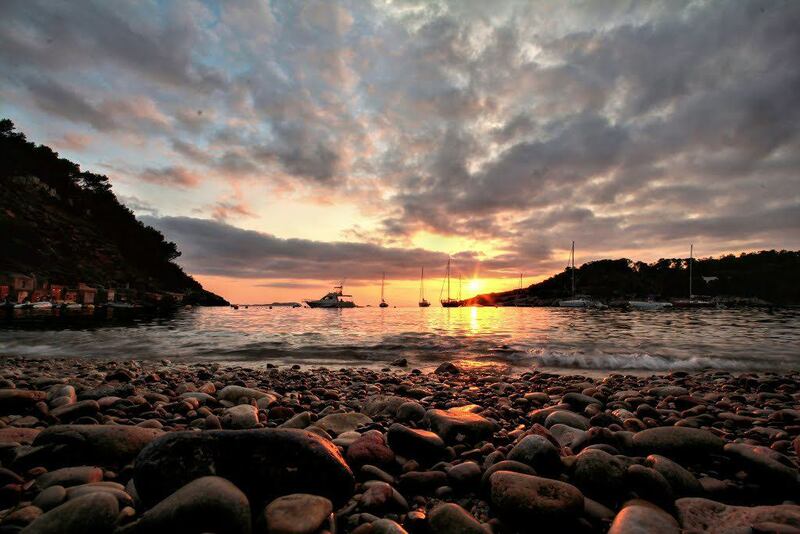 In Ibiza you can enjoy an incredible sunset from your boat, watching as the sun illuminates the bay and stains Cala Salada in red and orange, creating a magical sensation. For peaceful and relaxed moments you will only have to weigh the anchor and sail to Cala Gracioneta, the perfect destination to dive or just sunbathe on your boat. Remote, hidden coves used by smugglers, taken by the hippies or inhabited by exiled friars that can only be discovered from the sea. Defence towers, fishermen’s huts and barracks and the steep quarries from which the stones to make the wall of Dalt Vila were taken. Touring all these wonders that the Pitusas hide on board a charter is a unique experience. However, it is not necessary to discover the island just in one only trip. 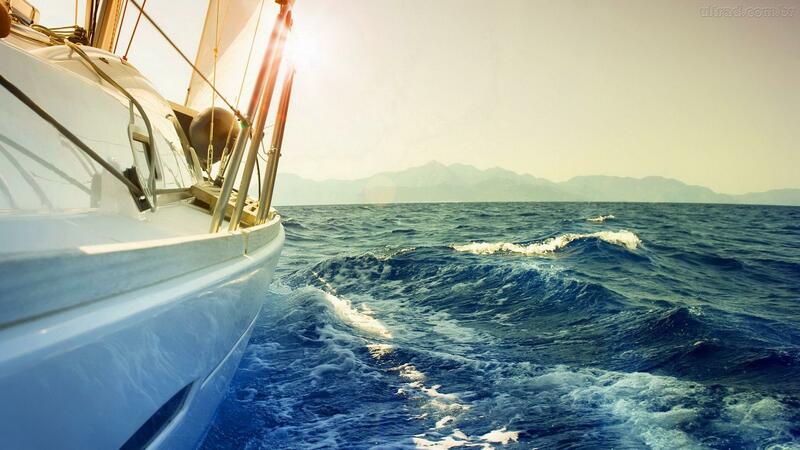 The ideal thing of an Ibiza boat hire is that you can plan a different route every year. At Smooth we are at your disposal, offering all kinds of boats and services so that you can always have new dream locations to discover.